At the Max Business Group we continuously are asked to speak and present educational programs (not sales) at a wide range of organizational functions. We certainly enjoy talking about the business of real estate, and showing buyers, sellers, and investors, how to save, and keep, thousands of wasted dollars in their pocket, in every transaction. Please know, because of high demand for our speaking services, we have developed some selection criteria that helps us select those venues we might best serve. Please read our criteria for presenting below. If you meet all or most of these criteria, and would like us to present an educational program about local real estate to your organization, call Max at 412-552-9811 to talk about what subjects or content that your participants might find of highest value. we customize and align our educational and awareness content to meet the needs of the group. we communicate with one person in the organization with the authority to make all program decisions. all presentations at scheduled and contracted for at least one month in advance. 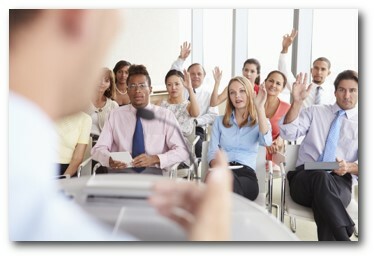 the organization is able to show how a presentation on a real estate topic would add value to the participants. the organization provide reasonable and typical print advertising and marketing of the presentation to the intended participants. a reasonable fee is negotiated with the presenter. Fees start at $0 but depend on group size and location of presentation. participants are not to be charged for attending the program unless paying for other amenities like food and beverages. For larger, more commercial venues, such as presenting a key note or headline presentation at a regional or national conference, please call Max at 412-552-9811 to discuss the participant’s needs and the conference’s focus and goals. Below you will find a short list of educational topics that we have presented across small to large clubs, professional organizations, real estate investment groups, and conferences. Please know that the programs below are only examples of topics that can be selected from. Presentations can run as short as 20 minutes and as long as 90 minutes, although any presentation can be scaled in time and content to your organizations need. 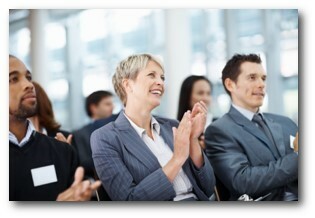 We will provide you with more details about any of the presentations when you call. 1. Commercial FREE Real Estate Services: How this New Innovation Saves Your Thousands by Changing the Way You Select and Pay for Real Estate Services. 4. Which Remodeling Projects Return the Most Money in Pittsburgh PA? 7. Investing in Real Estate: Fact or Fiction?